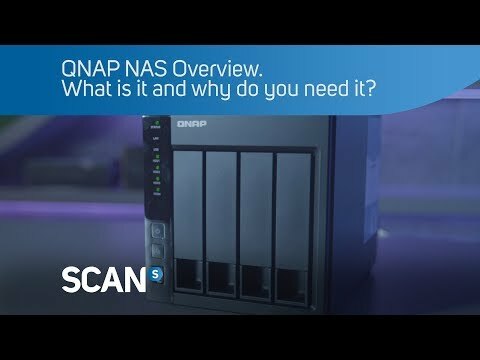 Product Overview QNAP TVS-EC2480U-SAS-RP R2 is the world's first unified NAS supporting Auto Tiering to deliver ongoing optimization of data across high-performance SSD, 12Gbps SAS drives and high-capacity SATA disks. Powered by an Intel® Xeon E3 CPU, the 40GbE-ready TVS-EC2480U-SAS-RP R2 delivers exceptional performance and supports cross-platform file sharing, comprehensive backup solutions, iSCSI & virtualization applications, and more practical business functions. With the powerful QTS operating system, the TVS-EC2480U-SAS-RP R2 performs as a reliable, scalable and unbeatable unified and tiered storage solution for businesses. Implementing DataBolt technology, the TVS-EC2480U-SAS-RP R2 can deliver twice the throughput for 6Gbps SAS drives by automatically aggregating the bandwidth from 3Gbps and 6Gbps drives to fully utilize 12Gbps, effectively accelerating the existing infrastructure. With the TVS-EC2480U-SAS-RP R2's removable motherboard drawer, IT administrators have easier access in upgrading/installing RAM, the internal cache, 40GbE adapter and other components. The motherboard itself can be removed and replaced without needing to remove the heavy TVS-EC2480U-SAS-RP R2 from the rack cabinet, making it especially useful in maintaining the TVS-EC2480U-SAS-RP R2 in data centers with multiple rack cabinets. Note: The TVS-EC2480U-SAS-RP R2 is not hot-pluggable and must be powered-off before removing the motherboard drawer. The TVS-EC2480U-SAS-RP R2 offers four inbuilt Gigabit Ethernet ports and features two inbuilt 10GbE SFP+ ports to deliver 10 Gigabit high speed network. If 10GbE is insufficient for some workloads, the TVS-EC2480U-SAS-RP R2 supports Mellanox® ConnectX-3 Pro adapter cards with 10/40/56 Gigabit Ethernet connectivity to deliver the most cost-effective computing and storage Ethernet Interconnection solution. It helps achieve significantly higher throughput for high-performance embedded I/O applications and virtualization acceleration. Businesses can greatly benefit from the fast, flexible storage network of the 40GbE-ready TVS-EC2480U-SAS-RP R2 for boosting their mission-critical IT performance. Thanks to the intuitive user interface of QTS, your NAS experience is smarter, smoother and spectacular. Its modern flat design streamlines loading times, and the intelligent desktop allows you to find desired functions quickly, create desktop shortcuts or group shortcuts, monitor important system information on a real-time basis, and open multiple application windows to run multiple tasks concurrently, bringing greater working efficiency. Features • Built-in 10GbE, highly-efficient storage solution with high speed network for HD video editing and sharing. • 3,800+ MB/s throughput and 267,000+ IOPS. • Qtier Technology drives Auto Tiering for optimal storage efficiency. • Built-in 256GB mSATA modules for caching, beneficial to IOPS-demanding applications. • Scalable design, up to 1,216 TB total capacity. • Backward compatible with SAS/SATA 6Gbps drives.